I’m a happy user of KiCad PCB. On MacOS a lot of things are still buggy, but I found ways to work around these bugs. But today I found a really nasty one. 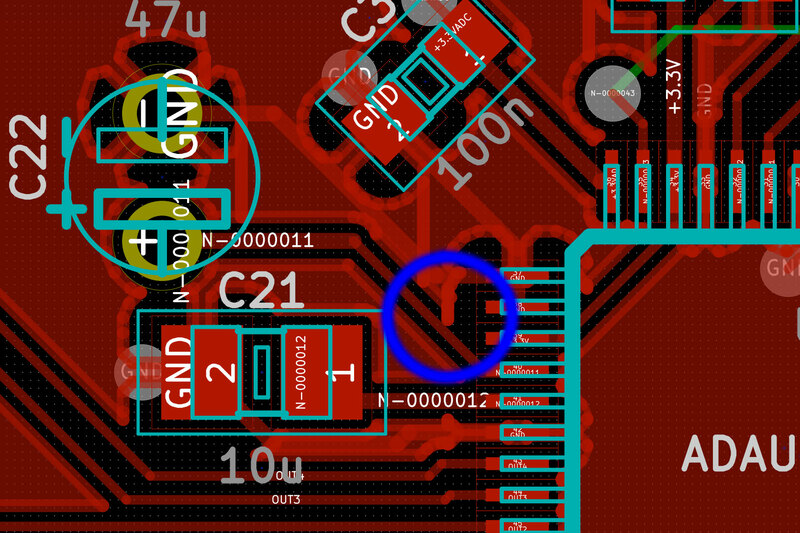 On my HiFiBerry DSP Light PCB, KiCad did not correctly create thermal relief zones. Looks good. The two tracks to the capacitor on the left side do not overlap any other tracks. But what happens if we fill the ground zone? Grrr! There is clearly a connection now between the ground pane and the N-0000011 track. 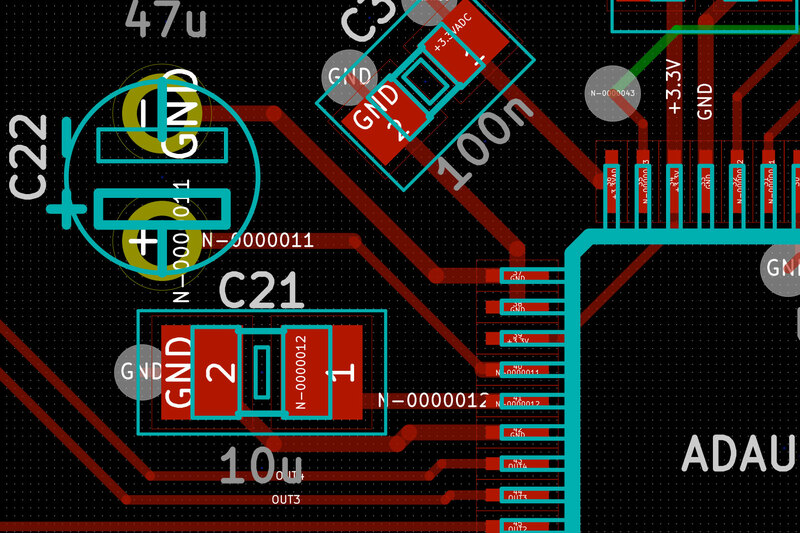 But there is an even bigger problem: If you run the design rule check now, KiCad does not think, this is a problem. Therefore, I did not notice it before soldering everything. Finding this connection took me some hours. Fortunately the chip was robust enough to survive this short circuit, because replacing an LQFP package is not one of the jobs I really love to do. This entry was posted in Information and tagged hifiberry, kicad, pcb design on November 3, 2013 by Daniel.